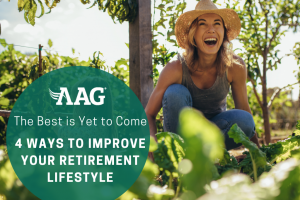 You’ve been waiting your whole work life for retirement and now here’s your chance to make the most of your senior years. Are you a little nervous about your finances and healthcare plans? Don’t worry, you’re not the only one! Many Americans are worried they might not have enough saved for retirement, but with these tips you can thoroughly plan to make sure you know what to expect after your final day at work. You can generally divide retirement into several phases. The beginning phases start before your final paycheck, the middle phases include your early years of retirement when you might want to travel more and enjoy the perks of less work, and the last phases take into consideration added health and medical bills and living assistance. Each of these phases is going to require an expected amount of bills and income, which hopefully your savings can cover. It is estimated that the average couple will need $285,000 in today’s dollars for medical expenses in retirement, excluding long-term care. Due to increasing longevity, building a portfolio is another crucial consideration. “In essence, one needs to build an age-100 portfolio,” says Robert Johnson, president of The American College of Financial Services in Pennsylvania. Ideally, you’ll want to invest in stocks before retirement to help your savings keep up with—and hopefully outpace—inflation during your retirement. Maybe you love your work so much that you don’t want to leave. 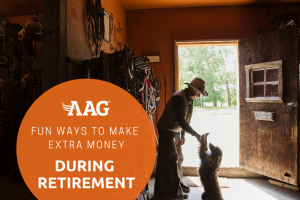 Or perhaps you’re ready to start enjoying retirement perks but aren’t ready too completely shut off the income that your full-time employment provides. Ask your work about flexible retirement plans that can phase into part-time work with benefits. This can be a win-win for both sides because soon-to-be retirees have time to put together mentor plans for their successor while also easing toward retirement without immediately losing benefits. We have a reverse mortgage loan calculator, but you also want to use a general retirement calculator as well. Several banks offer an online retirement calculator. Make sure you use several to get a range of estimates to better ballpark your most accurate retirement rate. A retirement calculator will compute your current age, income, savings, Social Security, pensions, and other investments to find out how much expendable income you’ll have for retirement. Browse the web and you’ll also discover calculators specifically for health care costs and Social Security benefits. Depending on what funds you’re most concerned about, there’s most likely a calculator to take away much of the guesswork. Now it’s time to make sure you’re prepared step-by-step! Who knew retirement could involve so much work! The process to planning a stress-free retirement may seem a little overwhelming, but you’ll give yourself peace of mind if you thoroughly research your options, assess your savings, and plan for emergency medical situations or potential assisted-living needs. You’ll be glad you did your homework, and your family will feel more confident about knowing you’ve prepared to make retiring an enjoyable venture.